Don’t wish you had it when you need it, then it’s to late. Data Integrity has partnered with leading solutions providers that provide for the end-to-end support in delivering advanced backup and disaster recovery in new integrated solutions. With our BRD solution, you can benefit from a complete end-to-end business continuity solution that ensures the protection and recovery of critical business data stored on Microsoft Windows Servers and Desktops. Leveraging industry-leading technology, our solution provides continuous backup snapshots based on a granular schedule and retention policy that is highly configurable. Snapshots are instantly virtualized allowing the recovery of files, folders, even data in Microsoft Exchange or SharePoint to occur in minutes – not days, weeks or months. All of the data that is captured is also replicated offsite to the cloud (All data is encrypted and stored in bicoastal SAS 70 Type II, HIPAA-compliant data centers) so you can have the peace of mind that business continuity will be maintained even in a disaster scenario. Our core solution is an enterprise business continuity device combining high availability, 15 minute backups and disaster recovery. This solution offers restoration of files, folder, emails, and databases along with acting as a high availability device by being able to run a virtual instance of a backed up server within 30 minutes to allow business operations to continue with minimal interruption. 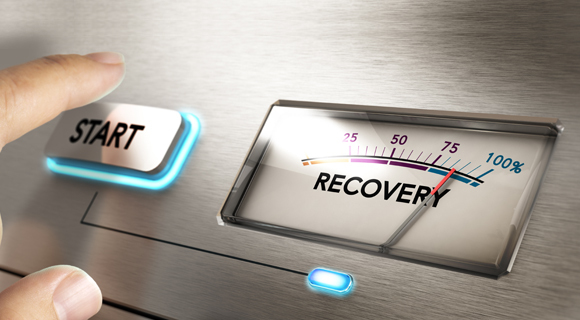 In addition, our platform provides for Bare Metal Restores and Offsite Replication for Disaster Recovery purposes. With almost a 50% failure rate, there is little wonder why TAPE is rapidly being replaced by DISK. 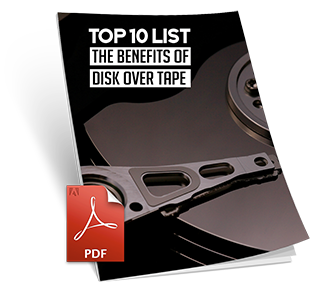 Download our guide and explore these top 10 benefits!